This is the story of my day, and of the other seniors who were in school while most of our friends stayed home. 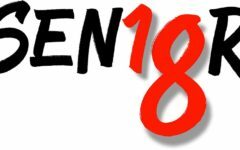 Today, March 6, is Senior Skip Day. It’s not an official school holiday, although most seniors stay home to be part of the tradition. I, however, am one of the seniors who came to school today. We’re here for a variety of reasons. So while I am not at risk of being put on social probation, I do know the personal consequences that I would have to face at home if I were to skip. 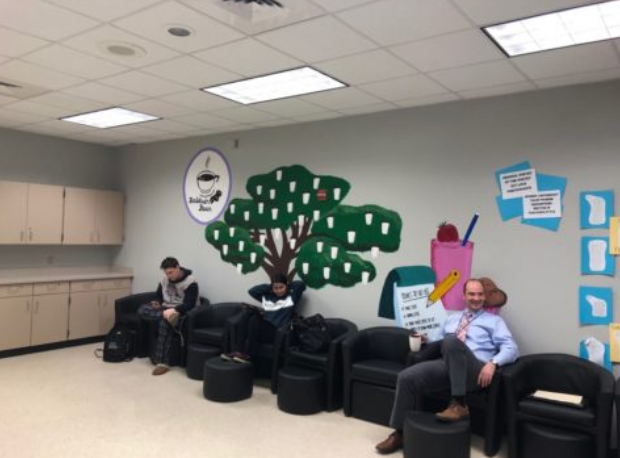 We’re normally a class that does a lot of debating, but since there are so few of us here, our teacher, Mr. Foote, took us to the Baldwin Bean coffee shop. Jenna Labishak, one of the students in this class, was trying to get ahead while there were hardly any other seniors around. 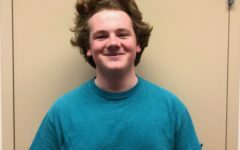 “Some of my classes are mixed grades, so that was a factor, but I also wanted to be ahead of my work in my senior-only classes,” Labishak said. Labishak is at risk of social probation but does not plan on going to prom, so that was not a factor in her decision. Rogan McMichael had the same reason I did for not skipping: His parents did not see a point in senior skip day. “My parents are making me be here, so here I am,” McMichael said. Although some teachers dislike senior skip day, Mr. Foote said he doesn’t mind it, although he wishes seniors ran it differently. “I did skip as a senior, but it was May so it was warm out, so I ended up at South Park with my friends. The pavillion we were in was covered in graffiti, so we ended up repainting the pavilion and trying to clean it up a bit,” Foote said. He said that they had fun with it and had a big picnic afterward to celebrate senior skip day. “I don’t mind it (now), but I do wish the seniors would all do something together rather than being in fragmented groups,” he said. I normally spend my second period study hall in the library with a group of eight other seniors, but today, our group was down to just Carson Thieret and me. Thieret has perfect attendance in school. Not just perfect attendance in high school — perfect attendance since kindergarten. So for Thieret, today was not a day worth missing. In fact, he didn’t even ask his parents if he could stay home. “I have not made it this far from kindergarten to miss school now,” Thieret said. Seniors Rachel Friedman and Paige Ernst attended their 3rd and 4th block period preschool class. My third and fourth period are set in a block period because of preschool. But school for our preschool students had been cancelled in advance due to senior skip day. Rachel Friedman said she chose to come to school today on her own, rather than being forced. “It would have been a waste of a good day of school not to come,” Friedman said. 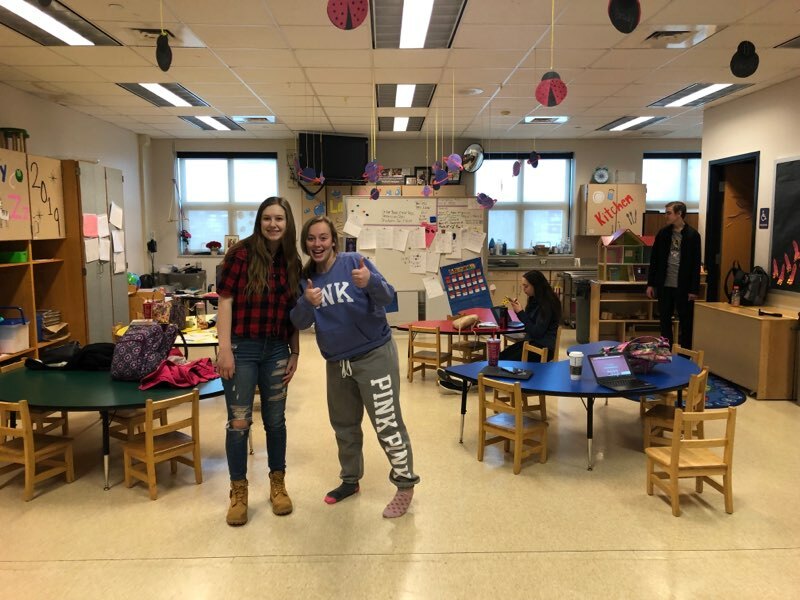 Even though she helped with unofficial planning for Senior Skip Day, Senior Class President Paige Ernst was not able to skip herself. Ernst travels with her competitive cheerleading team often, so she sometimes misses school while travelling. She could not afford to miss today as well. “I need to be able to go to prom, so I did not want to miss today and get put on social probation and then as a result not be able to go to prom,” Ernst said. D.J. Pickell decided to wait to take a day off from school until it gets warmer outside. “Everywhere I would go, other kids from school would also be there, so I am going to wait until a warmer day where I can enjoy it away from school,” Pickell said. Meanwhile, I have been checking in via cell phone with my friends and fellow seniors who did skip today, and the majority of them took this time to sleep in and to go out to eat with their friends. One senior I spoke to went to breakfast with friends and then to the mall. “It was nice to be able to have a day to relax with my friends. By the time we are seniors, we deserve a day off of school,” this senior said. 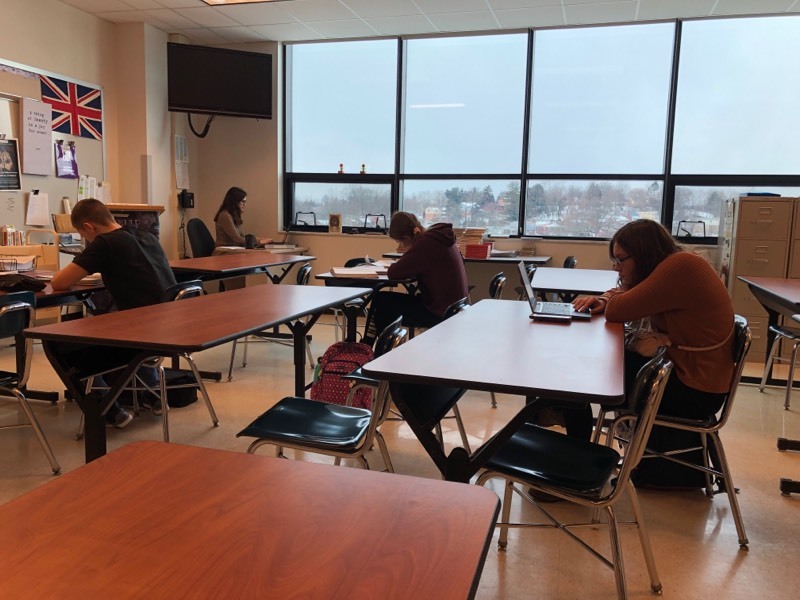 I expected my sixth period class, AP English with Dr. Klein, to have more students because of the rigor of the class on an everyday basis, but there were very few of us. Jared Koenig’s parents also made him come to school today. “I’m only really allowed to miss when I am sick,” Koenig said. Macy Hale, meanwhile, is also at risk for social probation. “I honestly do not want to miss prom,” Hale said. Mrs. Zeeger had us review for an upcoming exam. While we working on the review, Valerie Marino said she too is worried about getting put on social probation. “I have missed too many times this year. I do not want to miss out on senior opportunities because of social probation,” Marino said. Marino and I have three classes together, so we’ve frequently been among the few seniors in our classes today. The only other senior here was Devon Schroeder, who says her day had been slow. “I’ve been mostly knitting to pass the time,” Schroeder said. For me, today has felt long, but writing this article definitely helped pass the time. I still wish I had been allowed to stay home, but being here on Senior Skip Day was not as bad as I had expected. Kudos to Carson Thieret for perfect attendance from kindergarten! Wow! As a parent, I am grateful every single day to have kids like you, Elizabeth, and the others you’ve described in your article, who respect their parents enough to abide by their wishes and go to school on a day when nearly all other students aren’t going to be there. I know it’s hard to be one of the few not doing what everyone else is doing, but it’s equally as hard being one of the parents to say, “No, I’d really like you to do the right thing today.” Thank you all for being that kind of kid…your parents appreciate you! Much love to the class of ’19! The ride is approaching its end. Enjoy these final exciting moments before it comes to a complete stop and you’re forced to exit!